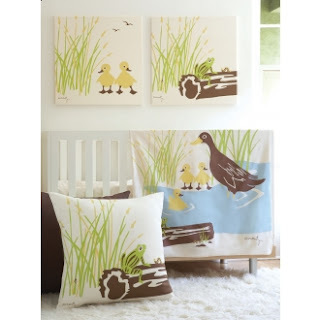 Beautiful silhouettes of friendly creatures and wetland scenery all printed with certified organic dyes meet a careful selection of the purest organic elements that form this collection: bumpers filled with organic wool, lovable blankets of breathable organic percale and supremely cozy organic fleece. The perfect blend of a child's genuine comfort and a parents piece of mind. Made by Amenity. Find it at DesignPublic.com.